Mary Margaret Gibson is the Ministry Director of EvanTell's Save the Mother, Save her Child(TM) ministry, (SMSC). SMSC launched nationally in 2008 and provides onsite Instructor-led, and free, online evangelism and discipleship training to pregnancy help centers in the U.S. and internationally. More information about EvanTell is available at http://www.evantell.org. In 1 Chronicles 12, the men are listed who went to battle with King David. In this list are men who led as many as 40,000 men into battle. And, in that group, were a band of men from the ancestry of Jacob. The history of this band also includes one of my personal heroes, the great prophet, judge, and leader of Israel, Deborah. You can read about her in Judges 4 and 5. One of the gifts God gave Deborah was the ability to use her intellect and courage to lead Israel even when they were faced by forces that appeared insurmountable. They knew what they needed to do and they did it. Dr. James Emery White wrote about the men of Issachar in 2015 in this blog post. I highly recommend it. We must reinforce the truth that the spiritual battle for the lives of God’s children is a battle we can engage in every day on our knees and on our feet. Prayer, Scripture, the gospel and ministries of mercy are powerful weapons in this battle. You will not hear this on the news – it is not their business. It’s our business. We know that without God’s engagement the lives of people at every age and stage are at risk. We know that God is more powerful than the forces of darkness. There really is no better strategy for us than to do what He means for us to do – love Him, make Him the center of our life. Love the people the way He has taught us – feed them, help them, share the gospel, help some more. What will happen if we do not do these things? If someone does not care, no homeless person will receive help from organizations like the Salvation Army or from our churches. Should our church do more? Maybe by supporting a homeless ministry and sharing the gospel there? No prisoner will meet Jesus through a Bible study and learn how to live free, even though incarcerated, if there were not organizations like Prison Fellowship International. Their lives mean something! Should our churches expand our view of life to include those children who have an incarcerated parent? What could we do for their family? No veteran’s family would have a church to back them up when mom or dad is deployed. Every military family needs us to care about their lives! Do they have friends in our churches to care for them? Do they know the Lord, Jesus? No suicidal teen, whose loneliness is so deep that only death seems rational, would find a free Christian counseling center or HOPE LINE waiting for their call. 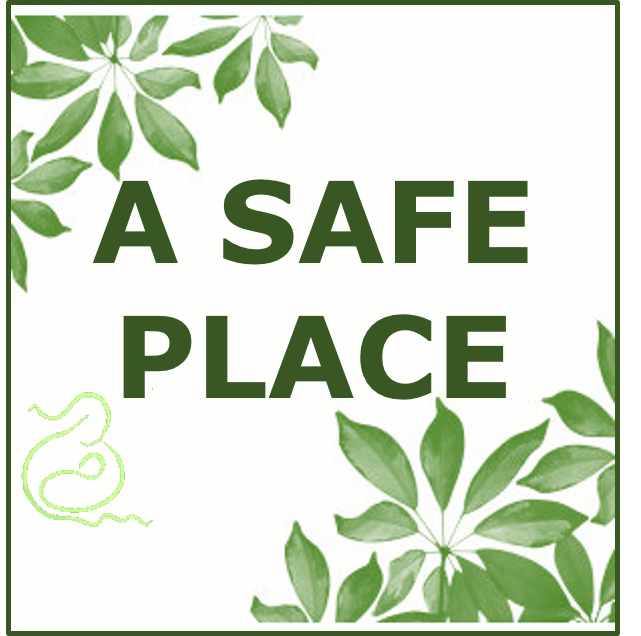 Our churches need to help staff places of peace for teens who need counseling. Can’t we build counseling centers where desperate teens go? Without someone who cares, no sick, aged, disabled person would receive Biblical hospice care from caregivers who use a Biblical approach to support those who are dying or grieving the loss of a loved one. Are we fighting the fight for the soul and life of every older person? Do we share the gospel in the nursing home, hospital, and senior center? We hope to inspire folks to get involved in support of the lives of God’s children in their town. There are so many ways to serve that every Christ-follower, equipped with the gifts God gave him or her can be engaged somewhere for the lives of the people around them! The people of the God of the Bible stand for good and life! We care about protecting the unborn child of God because He loves them and us. I pray many will join us, get involved, share the gospel, encourage their family and friends in the fight for God’s image bearers at every age and stage of life. Love and serve God among His creation. Pray. Share the Gospel. Work. Love. Prop up the good! Note: Today’s post is the third and final post in a short series on “Authentic Life.” Read Mary Margaret Gibson’s first post here and Dr. Kathy Koch’s second post here. Of course, God knew where they were. Security – God was Adam’s security. He made Adam in the “image of God” making it possible for him to have independent thought, emotion, reasoning, and the gift of naming creatures. God gave Adam everything he needed. God saw that Adam would be lonely, so God gave him a companion and helper, Eve (Gen. 2: 18–25). Identity – Adam was God’s friend. Adam walked in the garden God made for him. Belonging – Adam was a child of God, a member of God’s earthly family. Purpose – Adam had a grand purpose. He saw every animal God had made and gave a name to each one. He must have done a good job. “Whatever name Adam gave became the creature’s name (Gen. 2:19–20). God approved. It was good! Competence – God gave Adam the competence to fulfill his purpose to the glory of God. But, after Adam and Eve defied God’s explicit command, Adam hid. Adam had to leave the garden because separation from God is the penalty for sin (Rom. 6:23). He and Eve had to take up residence in the world, and they took their five core needs with them. Every child born since then inherits the same five core needs and the same inclination to sin (Rom. 3:23). God had us in mind, though. He knew how we would be restored to that wonderful relationship with Himself. Recently, EvanTell (all about the gospel) and Dr. Kathy Koch (the core needs expert) launched a unique initiative called Authentic Life: Our Needs – God’s Answers. God is still able and willing to satisfy the five core needs we all struggle to fulfill in our life without Him. He built into us a longing for Himself. In December, we will launch a seven topic video training module for Authentic Life. (You can read more about it HERE.) We have created “God’s Gift to You!”—featuring a gospel presentation and discipleship materials equipping people to share Authentic Life with the upcoming generation. In this initiative we teach people their need to trust Jesus as Savior in a fresh way using core needs. 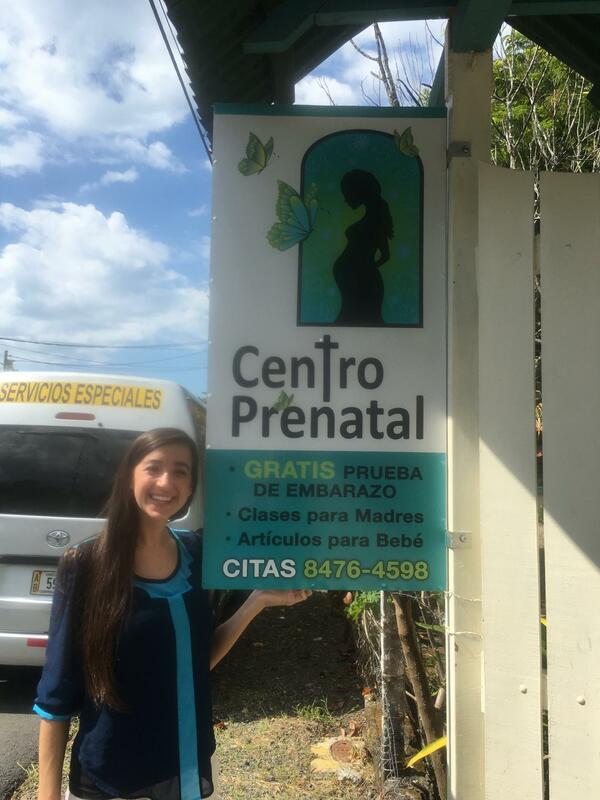 The first missionaries using Authentic Life will be the staff and volunteers of EvanTell’s Save the Mother, Save her Child ministry — Pregnancy Resource Centers helping people with many challenges in life, including unexpected pregnancy. The women and men needing the wide-ranging help of pregnancy centers will hear the hopeful news, “God is on your side! Right now! And so are we.” Many will hear the gospel and trust in Christ as Savior — the hopeless will have hope restored, forever. They will know Authentic Life. Pray. Pray for God’s Gift to be received. There are some wonderful blessings coming from the graceful way you share the gospel! Many people are trusting Christ as their Savior! How should new believers in Christ receive the discipleship needed for them to go on in maturity with the Lord? We will present our research in talking with women’s ministry directors from around the country on how their churches respond with new believer discipleship. We’ll present parachurch concepts that really work – Christian discipleship combined with community support for needy women. And we’ll discuss together in our highly interactive session what many of you are doing. Come and bring your ideas and questions. If you want to make a contribution to our session, please either email us at smsc@evantell.org, or comment! We’ll contact you! Here are some ideas from a blog post published on the EvanTell blog site not long ago. When Paul left Thessalonica, he did not abandon the new believers but sent Timothy to establish and encourage them in the faith (1 Thess. 3:2). Once people trust Christ, don’t leave them alone! New believers who begin the Christian life are at a critical point. Leaving the old life behind isn’t easy. Though the Holy Spirit provides the power to live victoriously, old patterns, old habits, and old temptations are still there. New believers need mature believers to walk alongside them while they take their first steps on the road to maturity. Here are four principles for assisting new believers in their initial growth. They take a very real commitment, but the results are eternal. 1. A commitment to grace—Approach new believers with a gracious attitude born out of understanding where they are and what they need. a. New believers need parental attention. Paul considered the new believers as his own, not just God’s children. That attitude helped him to extend abundant grace. b. New believers need a relationship more than materials. Excellent resources exist for new believers, but the most effective resource continues to be a friend. They need someone to help them with many of the simple, basic first steps. c. New believers need flexibility. All children grow at different rates. Paul conveyed in 1 Thessalonians 2:11 that he “exhorted, and comforted, and charged” them in the process of spiritual growth. Different personalities, circumstances, and needs require us to be flexible in our approach to discipleship. 2. A commitment to time and hard work—Walking alongside new believers in their first steps of spiritual growth takes time and hard work. As a bare minimum, new believers need discipleship a minimum of once a week for eight weeks. The first eight weeks are sometimes when new converts face their greatest adjustments, strongest temptations, and biggest doubts. To have a brother or sister in Christ meeting with them makes a marked difference. 3. A commitment to maturity—The goal should not be merely to get them to church but for new believers to become like Jesus Christ, mature in their attitudes and actions; to serve Christ; and to help others know Him and grow in Him (see Col. 1:28–29). 4. A commitment to care—The care and concern Paul had for new believers revealed itself in how he shared his very life with them. When you follow-up with new believers, they are less concerned with how much you know and more concerned with how much you care.